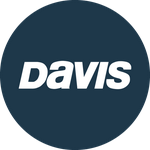 Davis Instruments Support, FAQs and Troubleshooting - What are the advantages of using the Doel-Fin? All Categories ​>​ FAQ ​>​ Marine ​>​ What are the advantages of using the Doel-Fin? The advantages are better fuel mileage, faster out-of-the-hole times, less bow rise, slower planing speeds, better turning and rough water control.